What is an ebook and why do I need one? eBooks are electronic books and offer an alternative to reading from a printed paper book. They can be read on a variety of different devices including computers, mobile phones, tablets and eBook readers. They don’t require any storage space (they are simply digital files) so you can carry many books with you on your chosen device. Most publishers now make their books available in eBook format, which you can download from their website, or from online retailers. The number of self-published authors making their work available as an eBook has grown massively as it is very affordable way of distributing their work. What types of eBooks are there and what’s the difference? There are three main types of eBook that you should know about: Kindle, ePub and PDF. There are some other ways that eBooks are created including building a bespoke app for phones or tablet, or using a platform such as iBooks Author. These tend to be more expensive and/or require a higher level of expertise, so we’re going to focus on the main three here. A kindle file is the format that you will need if you want to upload a book to the Amazon Kindle platform. It makes text reflowable, so that if you change the text size or the screen size the words will flow into lines accordingly. The file extension is .azw but the format is based on a format called mobipocket (.mobi). Amazon has some tools to help you convert from a Word file or an InDesign document to this format. The ePub has been chosen by the International Digital Publishing Forum as the standard global format. 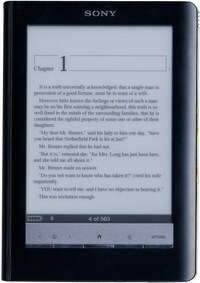 It’s supported by Apple’s iBook readers, the Barnes and Noble Nook, the Kobo eReader and many others. Like a kindle file, text is reflowable and you can insert images and some formatting into the document. Most people are already familiar with PDFs – they are a common format for office workers and used for official documents and reports. PDF stands for Portable Document Format and it is designed to enable you to permanently fix the layout of a document and send it to others easily. Kindle is undeniably the channel through which most eBooks are sold. If you want to reach a wide audience and are happy to go through Amazon then you should definitely prepare a Kindle file. ePubs can be made available through a wider variety of channels. You don’t limit yourself to one retailer if you have an ePub. If you want more control over the way your eBook looks, ePubs tend to be easier to alter and add your own styling. PDF is probably the easiest format if you’re simply looking for a digital version of your book that you can send around. You can use CompletelyNovel to sell PDF eBooks. PDFs are a much quicker and cheaper solution if your book involves a lot of complex formatting. Most word processors or publishing programs let you save or export as a PDF. The best ebook depends on your audience and the type of book. You’ll find strong advocates for all formats. Look at your target audience and their preferred method of reading books – this will help you determine how to prioritise. Do I really need to publish an eBook? It isn’t essential that you have an eBook, but publishing one creates another way that people can read your book. Have a think about who your “target audience” is and how receptive they are to eBooks. eBooks tend to be very popular in genre fiction and although non-fiction hasn’t seen quite the same level of growth, business titles can be really popular if you’re marketing them online already as people are able to read them immediately, and on the go. Can I have both an eBook and paperback book? Which should come first? You can have both. Which one you choose to publish first is up to you. If you plan on marketing your book in person at events, then it works particularly well to have physical copies to give away or sell, first. On the other hand, if you plan on doing a lot of your marketing online, you might find linking to an eBook more successful. Have a think about the best solution for you, always bearing in mind your audience. It’s not essential that you have an ISBN for your eBook, but if you do choose to have one, it’s important that it’s different to any other edition you have published before. Can I have colour pictures in my ebook? eBook publishing is advancing all the time, and there are now devices that will allow you to see your book in colour – such as Kindle Fire, the iPhone and iPad. You can view images on all of these devices, but whether they are in colour will mainly depend on what kind of reading device your reader has. Eink devices such as the Kindle or the Kobo readers are black and white so won’t display the images in colour. CompletelyNovel makes it as easy as possible for you to create beautiful paperback books and sell them to readers. However, no modern author’s portfolio would be complete without a digital element. When it comes to eBooks, the choices can be quite confusing, and it’s tricky to know where to start. Here’s the essential info you need to know to get you on the right track with eBooks. CompletelyNovel offers a couple of handy tools. You can publish your book as a downloadable PDF document. And in addition, your book will be made available in our special online preview tool, the BookStreamer. This lets customers preview your book before they purchase it. 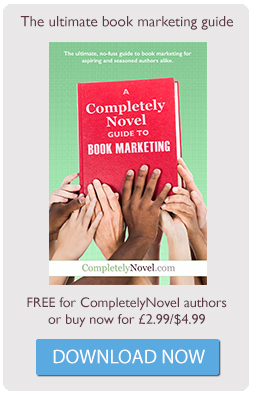 You can also find out more about how to publish on CompletelyNovel. How do I publish my work as an eBook format? There are a variety of eBook formats. How easy it is to convert your work to an eBook format depends on the source and end formats. Some formats are easy to convert to – recent versions of Microsoft Word, for example, has a ’save to PDF’ option. However, some require more specialised software or the use of online services. Can I create an eBook myself, for free? The short answer is yes, but there is a fair amount of work involved, and it definitely pays off to have thought about the formats you want to end up with before you’ve even finished your book. This is because the key to publishing in multiple formats (print and different eBook types) is having a strict content workflow. It quickly gets time consuming and frustrating if you’re not organised from the beginning. You can end up taking as much time undoing changes you applied for one format, as you do making changes for another. ‘Writing and editing’ manuscript: Everyone will have slightly different preferences for how they like to view their work when they are writing and editing. The most important things are to keep things simple and consistent. There is no point painstakingly formatting your text before you know what is required for each particular format. If you use Word, then get acquainted with the paragraph styles tool. This allows you to designate different styles to different types of paragraphs e.g. one style for the body text, a different style for the chapter headings. If you ‘apply’ these styles throughout your book, then if you decide to change something later, you can do it really quickly. At the end of this stage, you should have a document which is your core document. ‘Preparing for print’ manuscript: There are lots of elements that you need to add in or format for print, which you won’t want for an eBook, so save a new document rather than adding in these changes to your core manuscript. ‘Preparing for eBook’ manuscript: You will want to minimise the amount of formatting in your manuscript. This version will need to be stripped of anything that will interfere with the way an eBook reader displays the file such as page numbers, complicated alignment etc. More advice on preparing your word manuscript for eBook conversion. You can upload a word document directly to the Kindle Direct Publishing platform. If you do, there are lots of recommendations that you should follow. These include stripping any unnecessary formatting out of your manuscript, and adding a page break immediately after the end of each chapter (in order to ensure that your next chapter starts on a separate page). More tips on preparing for the Kindle. You should take your Microsoft Word document and save it as a .txt file (this will strip out all formatting) or as an html document. There is a free epub editor called Sigil which you can download. Sigil enables you to then put the formatting back into your document. There’s some great guidance here. Can I get someone to help me? How much will it cost? There are companies who can help you with your eBook conversions if you are having trouble, we recommend some on our People We Trust page. Prices range from £70-£200, depending on whether you have tables in your document, or how many words your book has. Make sure you shop around for the best deal and ask other authors for help and recommendations. Bear in mind that turnaround times can also vary, so make sure you give yourself plenty of time. Can I make my picture book into an eBook? There are certain types of eReader that allow you to view picture books, such as the Kindle Fire, Nook Colour and certain Kobo tablets. There are several companies that can help you make these types of book – try searching for ‘fixed-layout eBook’ help on Google. How much it costs depends on how long your book is, and which retailer you want to sell your book through. You can also create an interactive eBook, a ‘Read-Aloud’ ebook and picture book apps. These options can be pretty expensive so make sure you know exactly why you are publishing in these formats and think hard about your marketing and sales strategies. Where can people buy my eBook? If you publish a PDF eBook on CompletelyNovel, readers can buy and download your eBook from the CompletelyNovel website. Each book has its own listing page featuring all the relevant information. If you create an ePub or Kindle file, you can put it into the catalogues of lots of different retailers (Kobo Barnes and Noble, iBooks, Amazon Kindle), or you can go through a distributor such as Smashwords who will manage that process for you. You might have noticed that eBooks tend to cost less than paperback books – there’s a general consumer expectation that they should be a bit cheaper. eBooks can cost anything from free of charge, to £10+. Look at how books that are similar to yours are priced for a rough guide. Readers will be more likely to take a chance on a low-cost unknown book – but don’t price the book so low that it devalues its content. It can be a tricky thing to get right, but remember that you don’t have to stick at one price forever. The price of your ebook can be altered throughout your marketing process to coincide with promotions. This article from Digital Book World looks into the eBook pricing sweet spot. What is Amazon Prime and the Kindle Owners’ Lending Library? We get asked a lot of questions relating to Amazon’s eBook promotion options. Amazon Prime allows readers to ‘borrow’ one Kindle eBook a month for free, with no due date. It works a lot like a normal library, but with Kindle eBooks rather than physical books. As an author, you have to apply for your book to be included as part of the Amazon Prime Kindle Owners’ Lending Library. If you would like your book to be part of this service, you have to enroll in something called ‘KDP Select’. You can find more details about what this is and how to enroll on the Amazon FAQ page. You can also read more about the pros and cons of this for authors on Vanessa O’Loughlin’s article, on Writing.ie. How can I market my eBook? Should it be different to the marketing of my paperback? As your eBook and paperback will be published with the same title, you can market both editions equally, and allow your readers to choose the best medium for them. eBook marketing works particularly well with social media. Tweeting or sharing a link on Facebook to your eBook is a quick way for readers to begin reading your book. Book bloggers may also be more predisposed to reviewing and running giveaways of your book if it’s in eBook form, as it’s easier to send a digital file than a physical book. Also, while events, book launches and festivals can be great opportunities to sell paperback copies, don’t forget to tell the people you meet or network with that you have an eBook version available. State this on your business cards, or get some bookmarks made with a link to one of the sites it is available from. Avoid common manuscript mistakes with our guide.